in financial and performance management and the need for agility, speed, and performance of financial analytics and reports are critical keys to success. The need to be agile is further heightened as external compliance reporting such as the DATA Act, Technology Business Management (TBM), and GTAS reporting are concurrently being implemented and play a vital part of the CFO’s responsibility. Learn how our toolkit solution helps CFO’s with their reporting needs! 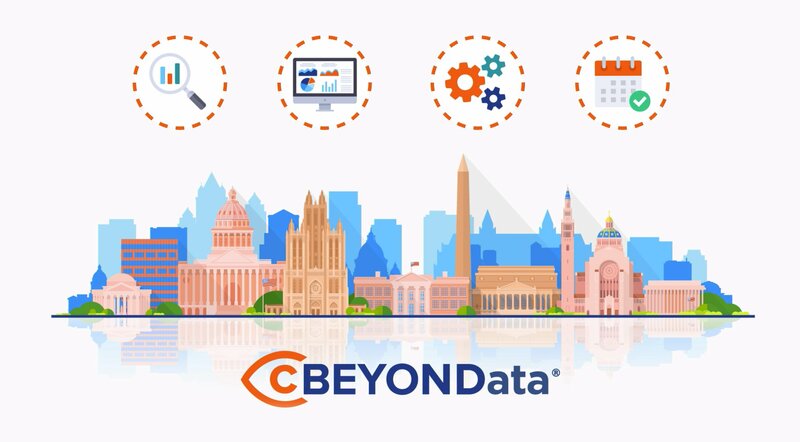 cBEYONData’s CFO Control Tower is a scalable toolkit of on-demand solutions that enhances financial systems to ensure a financial data user can immediately, reliably, and accurately meet compliance requirements for internal and external reporting. Our CFO Control Tower contains pre-built components and a proven service delivery process that accurately, predictably, and affordably provides right now financial analytics and reports. Each component group within the CFO’s and CDO’s office (Budget, Procurement, Financial Reporting, Audit, Payroll, General Ledger, External Compliance Reporting, Financial Systems Support, Performance Management) can leverage the CFO Control Tower to quickly automate their business processes which ensures financial accuracy and significantly reduces time spent on manual data aggregation and manipulation. Traditionally, accessing analytics and reports from a financial system meant enabling staff to manually produce data for reporting. This approach is problematic because it delays end users access to the most recent data, limits the ability to mine the data being produced, and creates an over-reliance on lagging performance measures. The CFO Control Tower solves these problems. consists of pre-built components, content, and collateral that consolidates disparate financial systems and produces reports, alerts, and analytics via a single integrated toolkit solution. 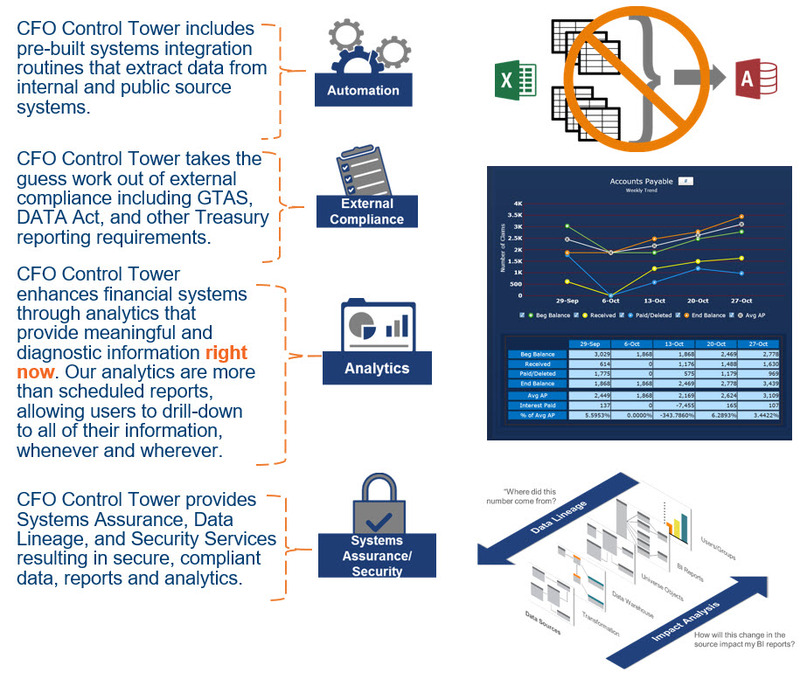 cBEYONData’s CFO Control Tower includes all of our components, content and collateral.